What are the causes of land cover change? How does land cover change affect ecosystem services? How do drivers and consequences vary across different spatial and temporal scales? I integrate land change simulation model and ecohydrological models to address these broad questions. Land change study (e.g., tropical deforestation, urban expansion, and agricultural extensification). 2019 Poor,E.E*, Shao, Y., and Kelly, M.J. 2019. Mapping and predicting forest loss in a Sumatran tiger landscape from 2002 to 2050. Journal of Environmental Management, Volume 231, Pages 397-404. 2019 Tran, H.T. 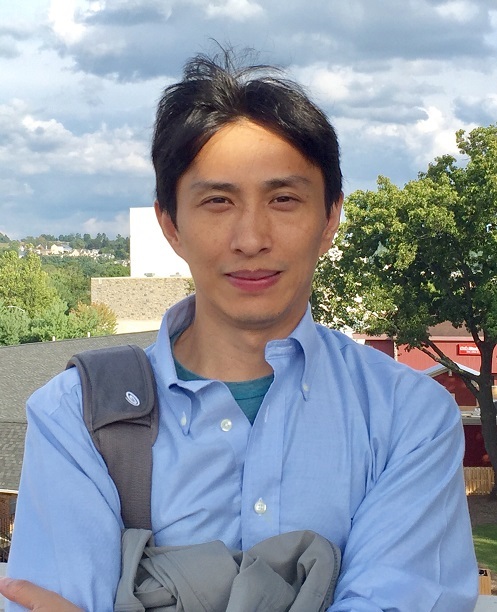 *, Campbell, J.B., Wynne, R.H., Shao, Y. and Phan, S.V., 2019. Drought and Human Impacts on Land Use and Land Cover Change in a Vietnamese Coastal Area Remote Sensing, 11(3), p.333. 2018 Taff, G.N., Shao, Y., Ren, J. *, and Zhang, R.*, 2018. Image Classification by Integrating Reject Option and Prior Information. IEEE Journal of Selected Topics in Applied Earth Observations and Remote Sensing, DOI:10.1109/JSTARS.2018.2870978. 2018 Jensen, C. K.*, McGuire, K. J., Shao, Y., and Andrew Dolloff, C. 2018. Modeling wet headwater stream networks across multiple flow conditions in the Appalachian Highlands. 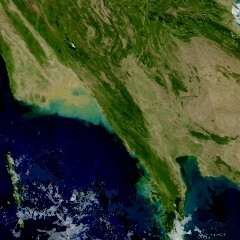 Earth Surf. Process. Landforms, https://doi.org/10.1002/esp.4431. 2017 Cooper, B. *, Dymond, R., Shao, Y. 2017. Impervious Comparison of NLCD Versus a Detailed Dataset Over Time. Photogrammetric Engineering and Remote Sensing,83(6),429-437. 2016 Shao, Y. , Taff, G.N., Ren, J., Campbell, J.B. 2016. Characterizing major agricultural land change trends in the Western Corn Belt. ISPRS Journal of Photogrammetry and Remote Sensing , 122, 116-125. 2016 Cooner, A. *, Shao, Y. , Campbell, J.B. 2016. 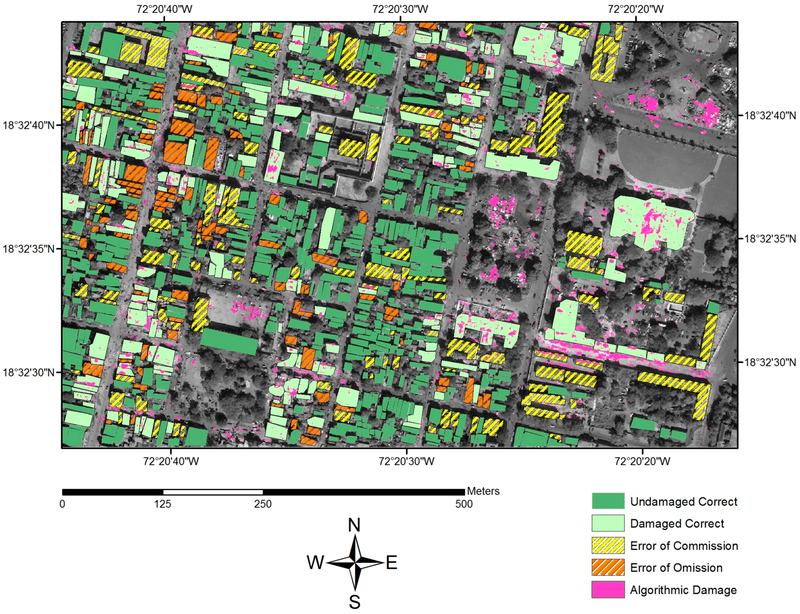 Automatic Detection of Urban Damage Using Remote Sensing and Machine Learning Algorithms: The 2010 Haiti Earthquake. Remote Sensing,8(10), 868; doi:10.3390/rs8100868. 2016 Ren, J. *, Campbell, J.B., Shao, Y. 2016. Spatial and Temporal Dimensions of Agricultural Land Use Changes, 2001-2012, East-Central Iowa. Agricultural Systems, 148,Pages 149-158. 2016 Shao, Y. , Ross S. Lunetta, Brandon Wheeler*, John S. Iiames and James B. Campbell. 2016. An evaluation of time-series smoothing algorithms for land-cover classifications using MODIS-NDVI multi-temporal data. Remote Sensing of Environment, 174, pages 258-265. 2016 Gonzalo Ferreira,	Eleonor L Cayford,	Leyang Feng*,	Shao, Y. ,	Marcos Isla Casares. 2016. Use of satellite remote-sensing techniques to predict the variation of the nutritional composition of corn (Zea mays L) for silage. Maydica , 61:M7. 2014 Wang, H.*, Shao, Y. , Kennedy, L. 2014. Temporal generalization of sub-pixel vegetation mapping with multiple machine learning and atmospheric correction algorithms. International Journal of Remote Sensing, 35(20), pages 7118-7135. 2013 Zheng, B. *, Campbell, J.B., Shao, Y., Wynne, R.H., 2013. Broad-scale monitoring of tillage practices using sequential Landsat imagery, Soil Science Society of America Journal, Vol. 77 No. 5, p. 1755-1764. 2013 White, J. *, Shao, Y., Kennedy, L., Campbell, J.B., 2013. 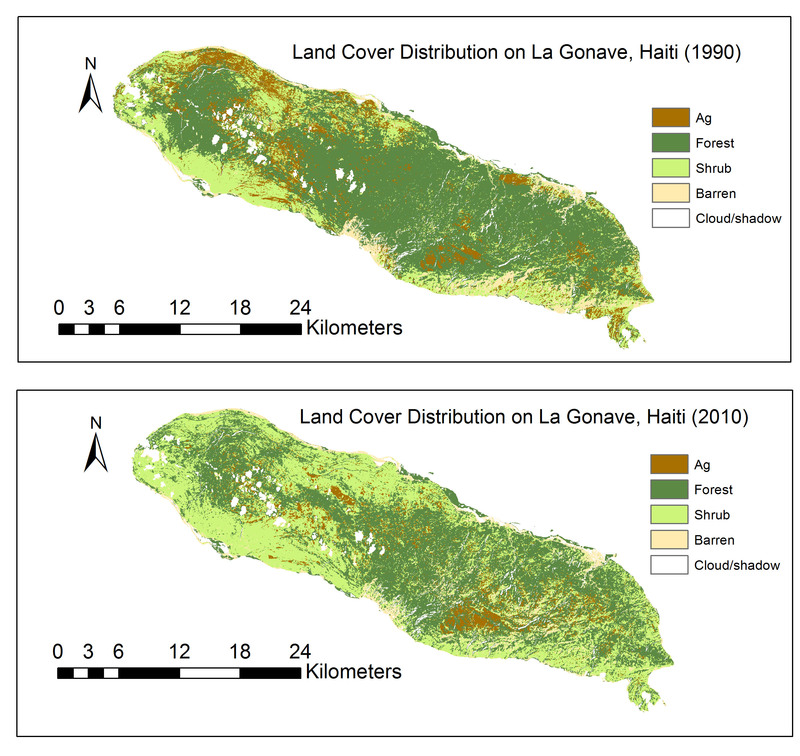 Landscape Dynamics on the Island of La Gonave, Haiti, 1990-2010. Land 2(3):493-507. 2013 Macpherson, A.J., Principe, P.P., Shao, Y., 2013. Controlling for exogenous environmental variables when using data envelopment analysis for regional environmental assessments, Journal of Environmental Management, 119, 220-229. 2013 Shao,Y., Lunetta, R., Macpherson, A., Chen, G., Luo, J., 2013. Assessing sediment yield for selected watersheds in the Great Lakes Basin for future agricultural land use change scenarios, Environmental Management, 51:59-69. 2012 Shao,Y., Lunetta, R., 2012. Comparison of support vector machine, neural network, and CART algorithms for the land-cover classification using limited training data points. ISPRS Journal of Photogrammetry and Remote Sensing, 70, 78-87. 2011 Shao,Y., Taff, G.N., Walsh, S.J., 2011. Shadow detection and building height estimation using IKONOS data. International Journal of Remote Sensing, , 32(22), 6929-6944. 2010 Shao,Y., Lunetta, R., 2010. Sub-pixel mapping of tree canopy, impervious surfaces and cropland in the Laurentian Great Lakes Basin using MODIS time-series data. IEEE Journal of Selected Topics in Applied Earth Observations and Remote Sensing, 4(2), 336-347. 2010 Shao,Y., Taff, G.N., Walsh, S.J., 2010. Comparison of early stop criteria for neural network-based sub-pixel classification. IEEE Geoscience and Remote Sensing letters, 8(1), 113-117. 2010 Shao, Y., Lunetta, R., Ediriwickrema, J., Iiames, J., 2010. 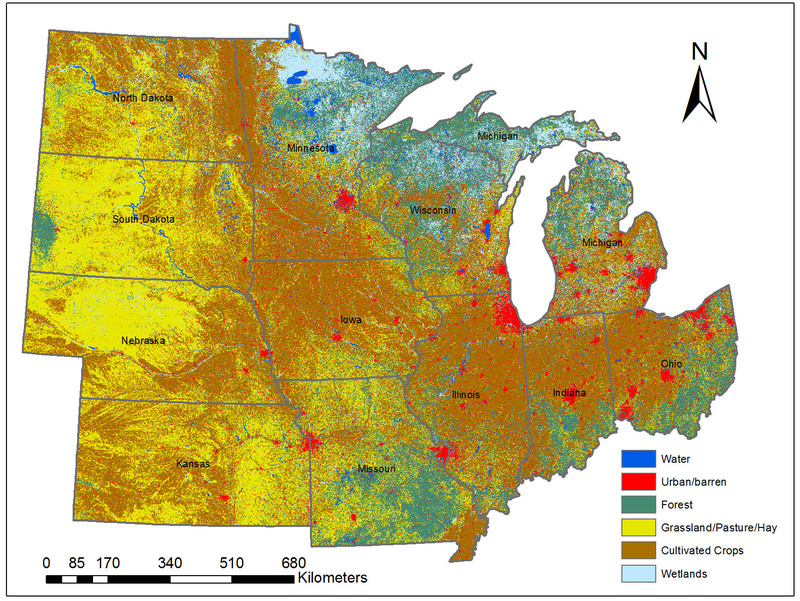 Mapping cropland and major crop types across the Great Lakes Basin using MODIS-NDVI data. Photogrammetric Engineering and Remote Sensing, 75(1), 73-84. 2010 Lunetta,R., Shao, Y., Ediriwickrema, J., Lyon, J.G., 2010. Monitoring agricultural cropping patterns in the Great Lakes Basin using MODIS-NDVI data. International Journal of Applied Earth Observation and Geoinformation, 12, 81-88. 2008 Walsh, S.J., Shao, Y., Mena, C.F., McCleary, A.L., 2008. Integration of Hyperion satellite data and a household social survey to characterize the causes and consequences of reforestation patterns in the Northern Ecuadorian Amazon. Photogrammetric Engineering and Remote Sensing, 74(6), 725-735. 2008 Walsh, S.J., McCleary, A.L., Mena, C.F., Shao, Y., Tuttle,J.P., Gonzalez, A., and Atkinson,R.,2008. QuickBird and Hyperion data analysis of an invasive plant species in the Galapagos Islands of Ecuador: Implications for control and land use management, Remote Sensing of Environment, 112, 1927-1941. If you are interested in graduate school and research in my group, please contact me through email (yshao@vt.edu) or phone (540-231-1867).